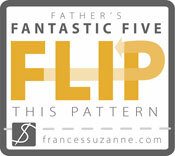 I recently found out about this great series on Frances Suzanne, Flip This Pattern. 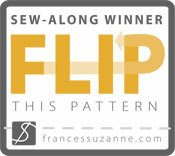 Each month there is a different featured pattern and three entrants "flip" the pattern. 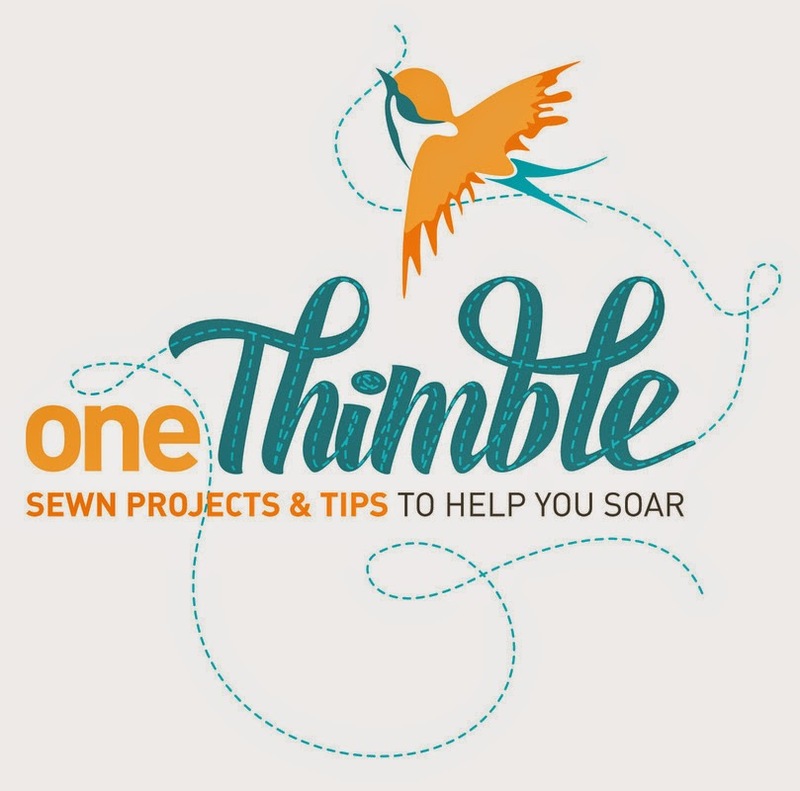 At the same time sewists from everywhere can join in and link up their "flipped" pattern too. I couldn't wait to get involved. This month is the Roller Skate Dress by Oliver and S. I started with some sketches of all of my ideas. They ranged from: using colour blocking, making it into a romper, pleating the skirt, changing the length to make it a maxi dress, changing the neck line and... what I decided to do which was an up-cycle flip. I started with a men's business shirt that I got for $7 at an op shop. 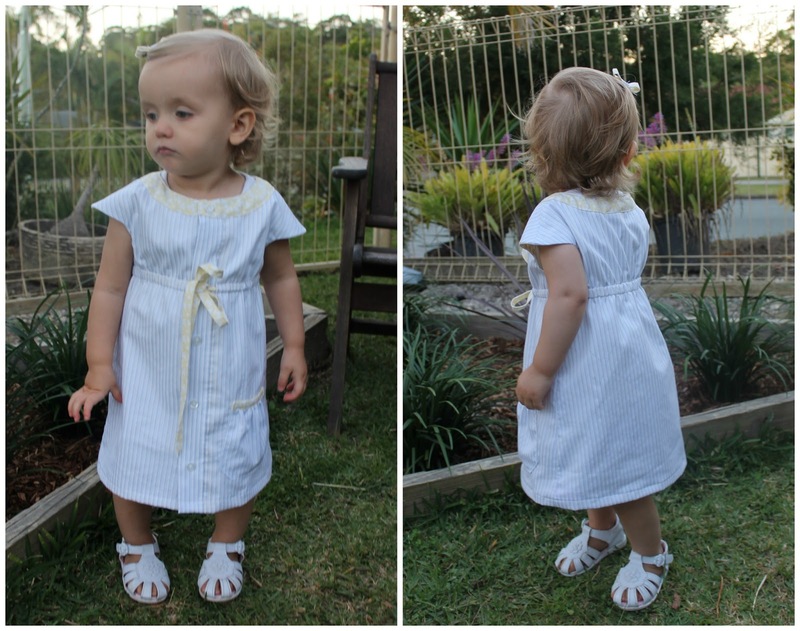 I had to make quite a few changes to the pattern to make a dress that would open at the front. I wanted it to keep the simple shape and style of the original pattern. It is beautiful, it has simple elegant lines and I wanted to keep all of that. I also wanted to keep the look of the shirt. I hoped that it would be clear that this dress had started life as a shirt. So to get the look I wanted I cut the front of the dress from the front of the shirt. 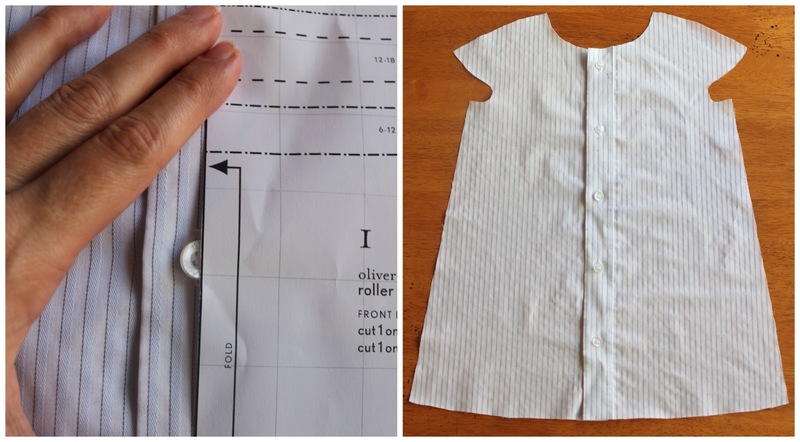 I centred the fold line of the pattern piece with the centre of the button placard. Then instead of cutting two back pieces I decided to make it all one piece and omit the back closure and seam (after all the whole front opens up). So I took the seam allowance off the straight side of the pattern piece and cut it on the fold of the back of the shirt. Then I cut the same from my lining fabric. I chose a soft yellow with a subtle print. The shirt is a soft blue pin stripe and it could have easily been overpowered. I had to remove the pocket to cut out the front pieces and when I saw it sitting there on the table I knew it had to be modified (girlified) and included. I did not want to use elastic (which is what is used in the pattern). It would have pulled the front open. Instead I made a tie from a length of binding and used button holes to bring the tie to the outside front of the casing. The pic here of the button holes was my first attempt. I ended up moving the button holes a little further away from the centre to get the look I was after. I pinned and stitched the lining to the inside of the button placard (stitched in the ditch along side it). Then I hemmed the bottom catching the lining under the outer fabric hem. The inside and the pocket. Thanks for dropping by. I had a ball flipping this pattern and will be making lots of other variations (as well as some the way the pattern intended). 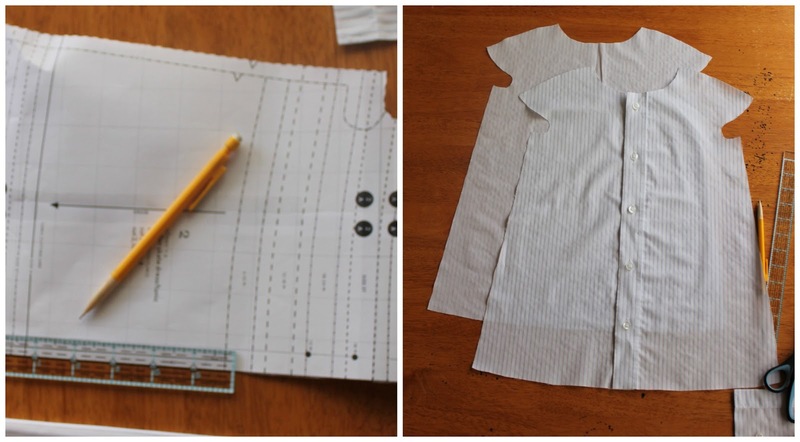 This is a really well written pattern and gives a beautifully finished elegant dress or tunic with lots of room to add individual creativity. I can't wait to see all the other flipped roller skate dresses as the month rolls on. so clever! I love the little pocket! Thanks Sharon. I couldn't resist adding it :) my daughter enjoyed playing with the pocket. She's so sweet. Great take! It turned out perfect. Lovely with that pocket and tie. This is adorable. 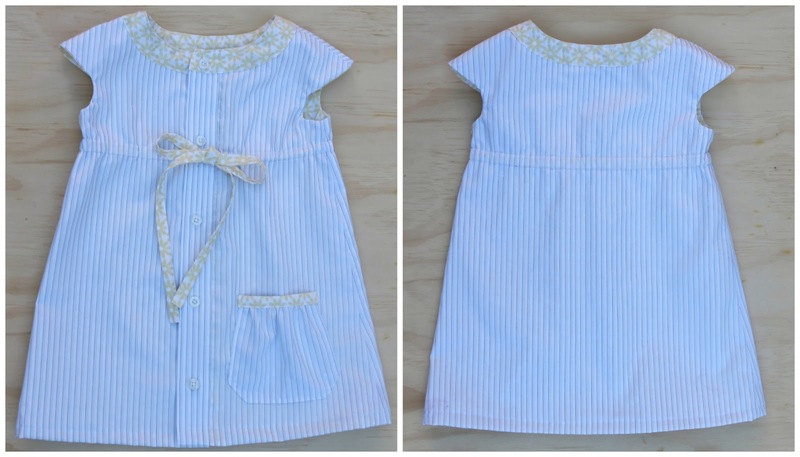 It's a great upcycle and so cute on! Thanks, I love yours too but can't seem to comment on it. Such a fun series... I'm hooked! 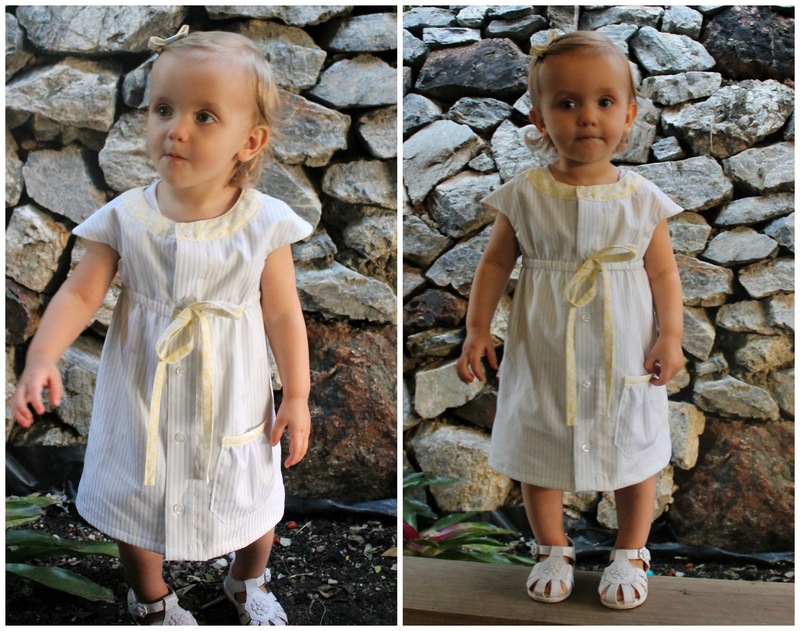 Really cute dress--I love the facing on the outside at the neck...and I LOVE a good up-cycle! This is awesome!! We are working on our "upcycling skills"....but have a long way to go :). Your use of a men's dress shirt is fantastic - and WOW at the improvement between the two garments!! I love it! You are so creative, and the end result is just so awesome. Well done!